Perfectly styled for your casual dining room is the Appert Collection by Homelegance. 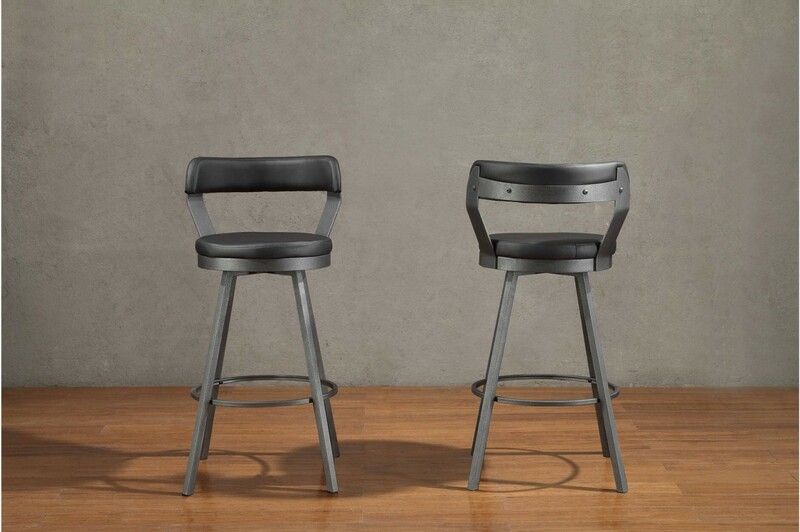 The swivel pub height chairs feature dark gray metal bases. 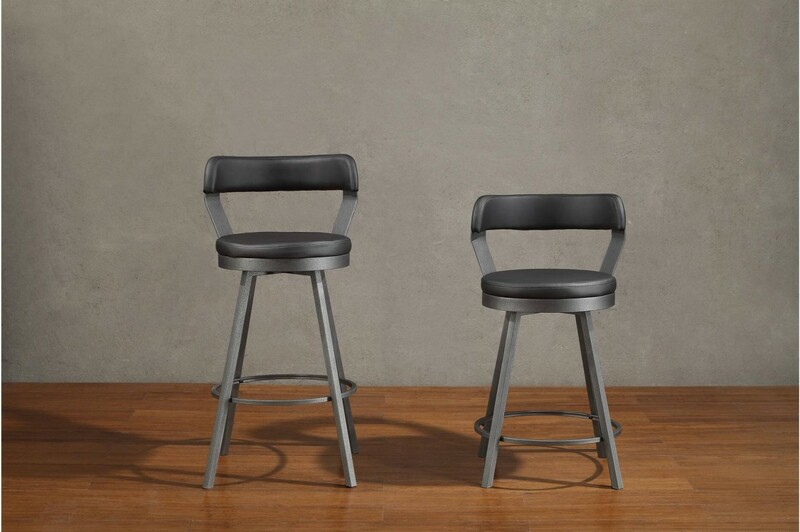 The round seats and back supports are covered in black, brown, red, grey, white bi-cast vinyl. W20.5" x D19" x H39.5"